2017 was another great year for me and I am sad to see it end. I had too many fun times to count. In addition to catching a lot of big fish, there were several other really cool things that happened to me as well. For one thing, the growth of my Youtube channel has just been unbelievable. This time last year, I had around 300 subscribers and a few thousand views. Today, I have over 4400 subscribers and have gotten almost 500k views. 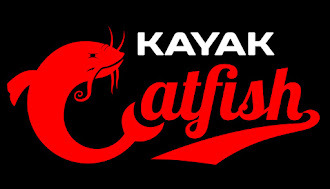 It just blows my mind that there are that many people out there interested in kayak catfishing. It is exciting to see this sport grow and have a hand in shaping its future. Getting this website up and going is another thing I am very proud of accomplishing. It wasn't easy. My technical skills are very limited but with the help of a friend and by watching countless how-to videos, I was able to build this site. Now I have a place to share my fishing adventures that is completely mine. Youtube, Facebook, and Instagram are all great platforms but I have my doubts about their future. Who knows if my content will still be available, how it will be stored, and how accessible it will be on those platforms 3, 5, and 10 years from now. Having my own website allows me to not only own the content I produce, but also be able to control how it is stored and cataloged. I am also free to express my thoughts and opinions here without fear of having an account demonetized or terminated. My Youtube channel and website opened up some other opportunities this past year as well. 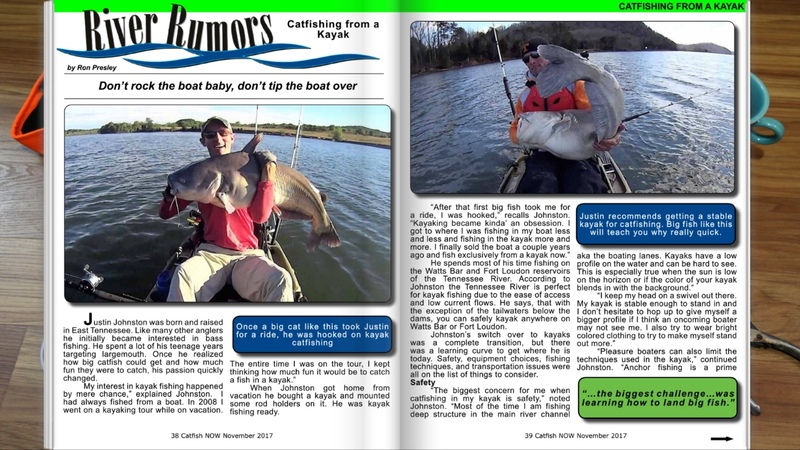 I was fortunate enough to be featured in the 2017 In-fisherman Catfish Guide and the November edition of Catfish Now magazine. It was a big honor to be interviewed for both of those magazines. By far the best thing about 2017 was getting to meet so many new people who are as passionate about kayak catfishing as I am. 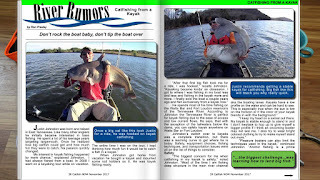 A few years ago, I didn't know anybody else who targeted catfish from kayaks. Now I have an entire community of people around me that I can learn from and share ideas with. While I am sad to see 2017 come to an end, I am excited about what is in store for me in 2018. To all of you who have taken the time to read an article on this site or watch one of my videos this past year, I just want to say thank you. All of the success I have had and all of the cool things that have happened to me this last year would not have been possible without your support. The number of positive comments and messages I have received has been overwhelming. I appreciate each and every one of you who have reached out to me. It means a lot. I look forward to meeting more of you in the coming year. Good luck and tight lines in 2018!